Thank you so much for commenting on my blog! It means so much to me! I love your pictures, and I think you are so pretty! I visited Italy last year in September; I miss all the pretty sites and history in the buildings.. It was such a wonderful experience. I did follow you follow me too if you like..
i just love your dress!! hey, Can you see me among your followers now? Stunning dress, and killer heels! Following you! lets keep in touch! U look amazing>>gorgeous maxi dress! no matter what the trend is there are somethings we always love the 60's and 70's fashion is like that to me. i LOVE your dress and your BAG!!! and since we are already following each other on blogger... do you wanna follow each other on BLOGLOVIN too? really good outfit! i love your bag!! i borrow your kitty for a while, okay? :)) it´s really good widget! Beautiful dress and the heels are amazing!! you are very adorable, and I'd love to follow you, your pictures are great!! I'll reading the rest of your posts tonight (because I'm at work now hihi) bisous! love the dresssss! and i love the person wearing it! Hey sweetie! You look so beautiful as usual. I really like your dress, amazing shots! :) Followed! Wow, I love your dress... it's fantastic! The song is great, I like it! hi dear!!! thanks for your comment on my blog!!! sure i follow you! i´ve been reading your blog and i like it!!! wow, those heels are extreme, but you totally pull them off! love that dress as well, its gorgeous on you! What a gorgeous dress! You look wonderful! You look great!Thanks for the comment! Ciao! 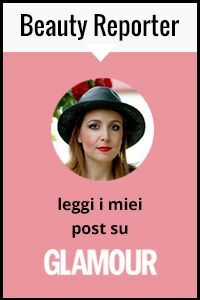 Grazie per passarti per il mio blog, é stato una sorpresa avere una visita straniera!! Bello il tuo vestitino, ma sono proprio innamorata del tuo bello vestito di nozze!! This dress is soooo boho and 2 die 4 as well as ur heels, I love it!! Your bag is sooo amazing! I've always been a fans of floral printed dress! you look gorgeous! Love your dress, and especially the shoes. I wasn't too sure about this chunky wooden heel trend at first, but at the end of the summer, I think it's quite nice. I still don't have a pair though, I used up my shoe fund on a pair of wedges early in the season. Splendido sia il vestito che le scarpe è vero il mood anni '70 è delizioso! Thanks for following my blog and comment. I hope not to disappoint my new fan! Thank you for your lovely comment on my blog! Ofcourse we can follow each other! I love your heels and the bag! I would also love to have a necklace, ring or bracelet from Tiffany's! Concordo in pieno. Uno stile che adoro! Sono a caccia di nuovi panatalono a zampa perche' quelli che ho mi stanno larghi. Stai benissimo! Those shoes are hot, girl!!! I also love the print on this dress. It is busy without being overwhelming. Really really beautiful once again. Your dress is amazing. I totally agree on the 70's style for the summer. Come stai bene con questo seventy look! i love your dress! and the photos looik amazing! I love your blog it is so special for me. I will thank you if you will follow me. Oh Vale, thank you for such a kind comment today! I have followed you. NOW, I am a teacher and I have been on summer break but I return to school TOMORROW, MONDAY! So, I will continue to post but I might have a hard time keeping up with answering comments just for the first week or so because I will have a very tight schedule! But I appreciate your comments, and joining! Your blog is SO BEAUTIFUL AND I LOVE FASHION!!! Hello! I've been through your blog, and I love it! We follow!! Kisses! i love your dress. so cute! I love it the place that u take this pictures!!! Divine!! Great dress, shoes and bag!! Beautiful dress. I love the pattern and the length. what a gorgeous view! awesome pics!!! thanks for stopping by my blog! lets for sure follow each other! this blog is soo interesting! muchas gracias por tu comentario, quería decirte que las fotos con geniales y los tacones me encantan!! Tambien queria decirte que muchas felicidades por tu boda!! Fabulous dress & beautiful photos!!!!!! Hi dear! Thanks for your comments! you have all right! the 70´s style are the best,very bohemian and glamorous! I´m following you if you like my blog you can follow me too! I love the dress! It's great! You look amazing! I love your blog so I'm following you! Thanks for leaving a comment in my blog! Kisses, and check my Jeffrey Campbell giveaway! love a pretty floral maxi! I love your look but yous h&m heels shoes are so high, be careful. I follow u and thank you so much for your comments on my blog. I'm nycitygirl diary. I'm quite a fan of large sunglasses and floral prints. Long dresses aren't really my thing, but you're definitely looking gorgeous in that outfit! I truly agree. 70s fashions are making a comeback and they are here to stay. I am so loving your floral dress. Very elegant and chic. Thank you so much for leaving a comment on my site. I really appreicated it. I would love to have you as follower of the Style~ Spotlighted at http://wtfash.blogspot.com and of course, I'll return the favor. Wow amazing blog!! You look gorgeous!! Thanks for your comment! I'm following you for sure!! Love your blog, you have great taste. Following you!!! You look lovely! The print and little flutter sleeves on your maxi dress are so pretty! Fall is my favorite season...I love the fall holidays and dressing for cooler weather. nice blog! i like to follow eachother. i follow you now, back? He visto el tuyo y me gusta. Te sigo! Hi, you have a amazing blog. I follow, follow you back? very nice blog :) . I'M YOUR NEW FOLLOWER, HOE YOU FOLLOW ME TOO!! NICE OUTFIT!! long dresses are really cool, and gives a hippie chic style that i really love! Hey!! :) thanks so much for your comment! i loved your blog you have a new follower!!! Am loving your dress. The sunnies and the necklace go so well with it! Am following you now. Would love to have you follow back. thanks for visit my blog! your dress is very beautiful!! And LOVE your outfit! You are SO gorgeous! Why dont you join the game? Wow you look amazing! Thanks for the visit to my blog, and yes, I would love it if we could follow each other's blogs! 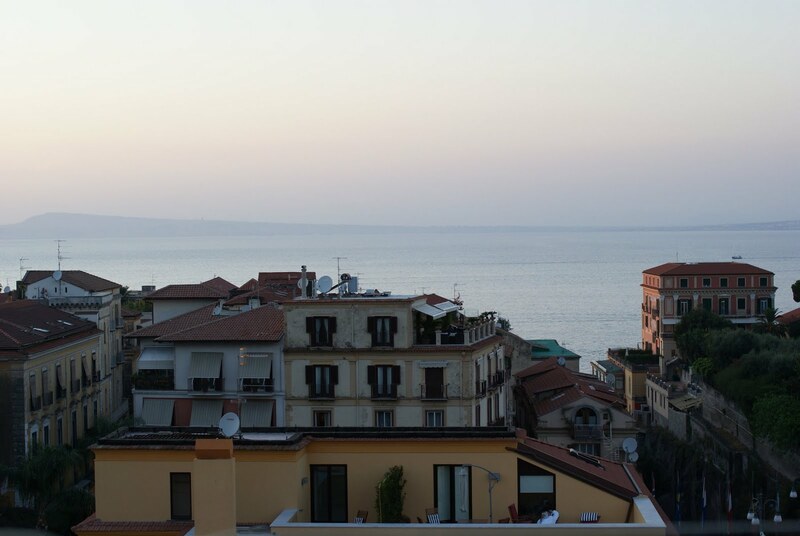 I was in Italy back in March - I wish I knew about your blog then, and could have met you in real life! I love the 70's trend and the song you quote in your post title it one of my favs! I'm looking forward to fall, except I'll be so busy. Hey thank you so much for your comment and your lovely words! yes, of course, we can follow each other- for sure, your blog is so special and beautiful, def like. i'm following you now. What a beautiful dress and it fits you perfectly. so in love with your shoes! thanks for commenting on my blog! I will be more than happy to follow yours! Amazing Dress Darling! Just discovered your amazing blog and LOVE it! You are just too gorgeous!! Thanks for your comment on my blog. I'm following you now! Follow back? I am completely in love with her ​​dress ... it is very very very beautiful! Big hug and congratulations for the photos, the scenery is magnificent! I love r new post. U Winner the Beauty Award 2011 4 r blog! Kisses from Buenos Aires, AR.